This Essteele Per Vita 24cm/ 9.0L covered stockpot is a pleasure to cook with thanks to the solid copper that is spread across the induction suitable base, allowing heat to disperse evenly and quickly. This results in optimum heat control and perfect cooking conditions favoured by the most discerning cooks. The elegant and refined design is crafted from high quality polished stainless steel for superior durability and shine. 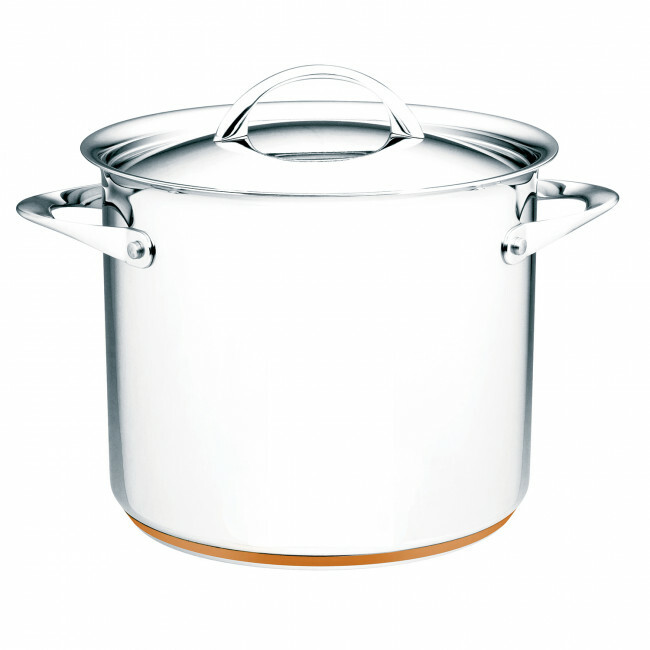 Handles and lids crafted from stainless steel ensure this 24cm/9.0L stockpot will last a lifetime. 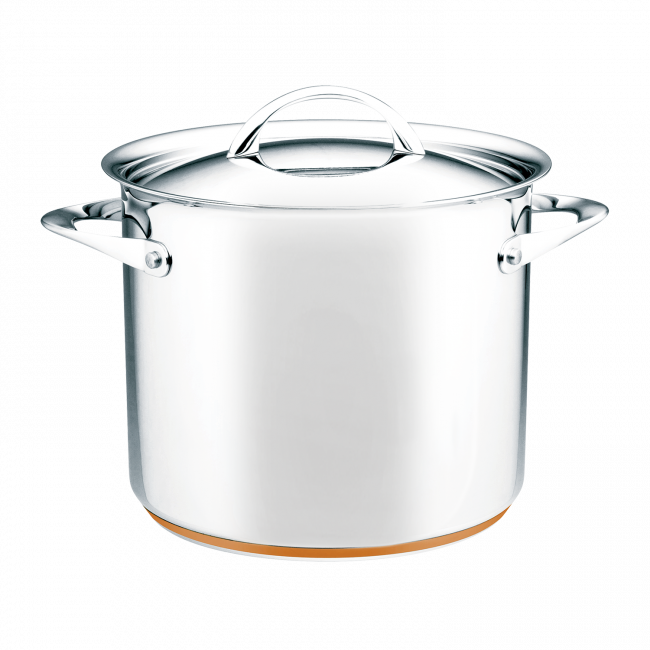 The stockpot is dishwasher safe, and oven safe to 240°C for added convenience. Essteele Per Vita 24cm/9.0L Stockpot is rated 4.8 out of 5 by 5. Rated 5 out of 5 by Louise Dianne from Great features I bought this a month ago as I have bought the Essteele brand before & been very happy with it. This stockpot is a great size for soups & I will also use it as a boiler for the plum pudding at Christmas. The heavy copper base means it can take long periods of continuous heat with warping & this is important to me. Rated 4 out of 5 by Mountain Girl from Perfect slow boil pot This is the perfect pot for doing large meal quantities or stock. Thanks to the copper base it can stay on a low simmer for hours and not burn to the bottom. A worthwhile investment for any family or those that love to slow cook! Rated 5 out of 5 by Dannyboi from Mint build quality Bought just before christmas in the almost half price sales and this has got to be one of the best cooking investments ive made. The quality of this product is unmatched. Would highly recommend, even at full price. Rated 5 out of 5 by Nannie cooks from Perfect size for soup Love my new stockpot. Perfect size for my soup making, and the quality is outstanding ! !